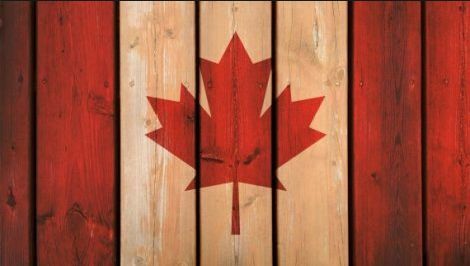 Canada is one of the most important countries that form an integral part of North America, it’s the second largest country in the world in terms of land mass and touches three great oceans on the north, the west and the east (the Arctic, the pacific and the Atlantic oceans). People migrate to Canada for a variety of reasons. For the tourists, this may be the abundance of lakes ( Canada has more lakes in it than all the lakes we have in the world altogether) about two million, the multicultural population with about a fifth of the country’s population being immigrants and the warm embracing people all attract people from over the world. For business minded people however, the boosting economy of the country comes in very attractive. Applying for a Canadian visa in Nigeria is not an especially hard task. Apart from the couple of forms you have to fill, an important aspect you must take care of is the payment of all necessary fees. These fees vary and depends on the class of visa for which you applying such that someone who is applying for a temporary residence visa will pay different amount from what a person applying for work permit will pay. Also the fees for individuals applying for visa differs from that of groups or family members. In this article, I am going to make a list of all visa types available to Nigerians and discuss all accompanying visa application and processing fees attached to each visa type. This includes the Visitors visa, student’s visa or study permit, super visa and work permits. The Visitor Visa includes visa for individuals, family or groups who wish to visit Canada on a temporary basis as a tourist or visiting family. It is issued irrespective of whether one intends to obtain the visa for a single visit or multiple visits. For a single individual willing to migrate to Canada, the visitor visa fees is 100 Canadian dollars (Note that it is 286.64 Naira for 1 Canadian dollar as at 7th February, 2018). Your family members must all apply at the same time and at the same Visa Application Centre. Your children must meet the requirement of dependents. This means that they must be under 22 years of age. You can check if your children qualifies as dependents by clicking the link here . The family visitor’s visa cannot be used for groups of people who are not family members. The super visa is the required type of visa for parents and grandparents of permanent residents of Canada or Canadian citizens. It is a long term visa that allows for multiple entry. Although it is a temporary visa, it allows parents and grandparents to stay for as long as two years in Canada on one visit and is usually valid for up to ten years. The difference between the super visa and the regular visitor visa is that the regular visitor visa only allows up to six months stay per visit. The cost of super visas are the same as that of the visitor’s visa. If an individual wishes to prolong his/her as a visitor, such individual is required to pay 100 Canadian dollars. You may also be required to reinstate your visitor status in a case where you have lost your status. This is in accordance with section 182 of the Immigration and refugee protection Regulations. In this case, you do not need another visa fee but will be required to pay 200 Canadian dollars. For more information on restoration of status, you can visit this link. These kind of visa are for students or people who intend to go to Canada to study. For a student visa, you are required to pay a study permission fees which includes prolongation. The cost of student visa application for an individual is 150 Canadian dollars. Therefore, a total of 350 Canadian dollars is required. There is also the employer specific work permit: this gives you the opportunity to travel to Canada for work based on conditions specified on your work permit. These conditions include the name of the employer you want to work for, the duration and location of your work. Work permit fees for a travelling group (of performing artistes) of three people or more is 465 Canadian dollars including extension. It is important to note that the work permit fees for performing group is only applicable if members of the group apply at the same time and at the same Visa Application Centre. If you are a holder of an open work permit, then you are required to pay just 100 Canadian dollars. The right of permanent residence fee which is 490 Canadian dollars. Permanent residence right fees which is 490 Canadian dollars. This covers those who are travelling to Canada on humanitarian and compassionate purpose. It is important to note that in some cases, The Minister of the Immigration, Refugees and Citizenship (IRCC) may decide to accord a permanent resident status to a previously prohibited immigrant on humanitarian and compassionate grounds or based on public policy foundations. -and 150 Canadian dollars per dependent child. The types of visa under this category includes sponsorship for adopted children, individual’s relatives and spouse of individual’s relatives. If you are uncertain, you can search for your record of citizenship for 75 Canadian dollars. It is important to note that all payments for the Canadian visa in Nigeria can only be made in naira. All your applications must the submitted with details of payment. Without the details of payment attached, your application will most likely be rejected and returned to you. For every payment you make concerning Canadian visa application, there is always a receipt issued as an evidence of payment. Always make a copy of your payment receipt and keep for reference. Note that once your application processing has started, you will not get any refund even if your application is not approved. In the case where your form has to be returned to you, you will pay all the cost incurred for returning your file or any unrelated documents you have submitted by mistake. 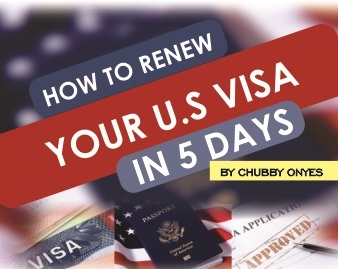 Although you may be informed at the embassy that your visa processing will take only about 34 days, you should bear in mind that due to Nigerian factors, your visa processing might span between three to sixteen weeks so do not panic. All the best in your application! Pls. What are the requirements for a skilled worker in the field of Air-conditioning and refrigeration who is willing to apply for federal skilled workers program with secondary school certificate, What are the required qualifications and fees? What are the requirement documents.. Am applying as a worker..
Good Afternoon Sir/Ma. Am a Tiler. Please I want to know the requirements document Canadian visa for a worker like me. My name is musa I want to know the cost of permanent resident vise fee fee and the requirements for the family of five include father,mother and three children.